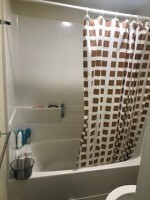 1 Bed & 1 Bath in a 4 person suite. Garage Parking included. 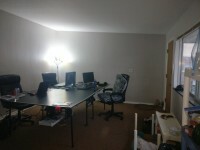 The room is very spacious and well furnished. The bathroom is attached for maximal privacy. The bed is a spacious Full XL with plenty of room for storage underneath. The bath is tiled and comes with a shower and bathtub. The room has carpeted floors. The kitchen/common area has hard wood floors which are easy to clean. There is laundry within the unit for ease of use. 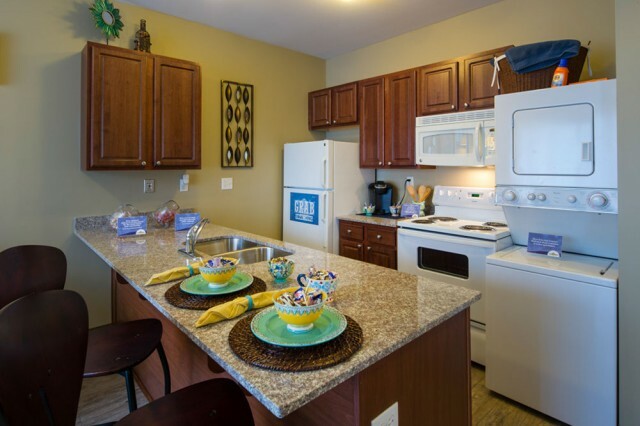 The kitchen has full amenities with a spacious fridge, freezer, oven, stove, and microwave.The Courtyards property provides access to grills, tanning salons, game rooms, complimentary beverages (tea, coffee, hot chocolate, etc.) and a gym. 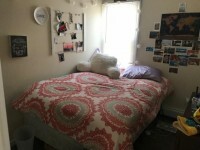 All of these amenities are within the South Building, where this listing is.This unit is also very conveniently located right next to the NCRB (North campus gym) and Bursley dining hall. allowing for a quick snack or workout at any time. 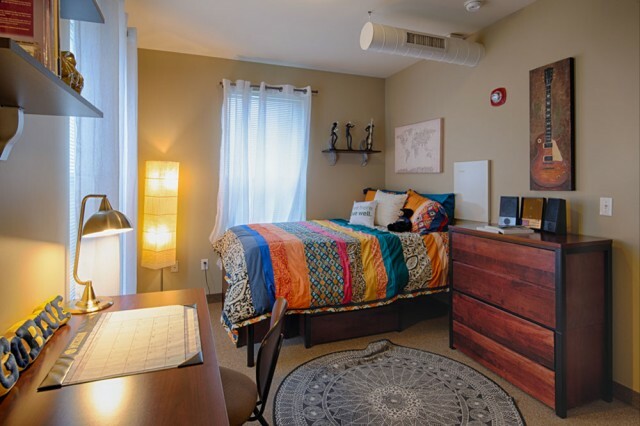 The unit is conveniently located with respect to North Campus, being less than a 5 minute walk to the North Campus Bell Tower.The South Building (where this unit is located) is also right next to the North and South bound Bursley-Baits Blue Bus, so traveling to/from Central campus is a breeze. Additionally, there is a Ride stop on either corner of the property for easy access to city transportation. My unit comes with a garage parking space, which is secured by key card access. This is the safest and perfect place to store your vehicle for use this summer.